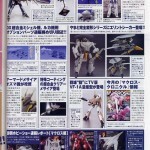 The Toyark › Macross Model Kit News › New Images Of Macross Frontier 1/72 Armored Messiahs! 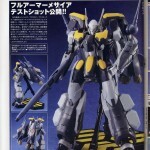 New Images Of Macross Frontier 1/72 Armored Messiahs! 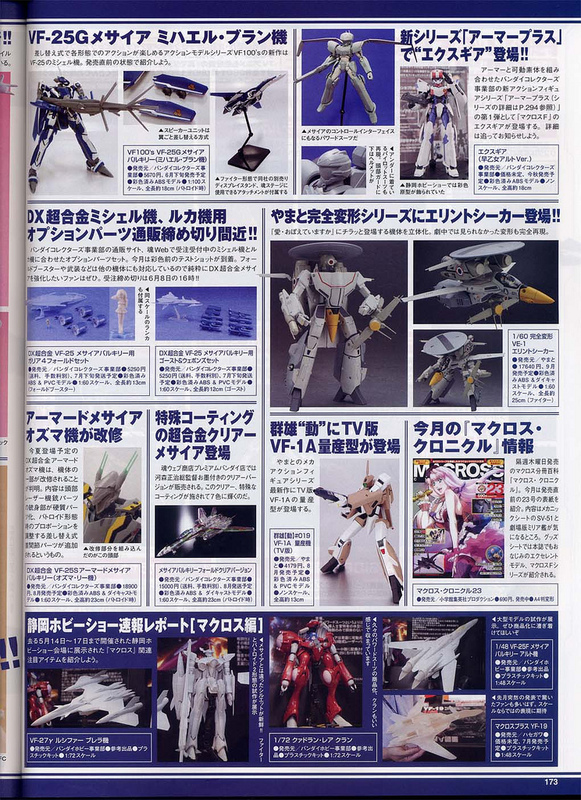 The latest issue of Hobby Japan shows new images of the Macross Frontier 1/72 scale VF-25 Armored Messiah model kits. This popular line of model kits by Bandai is expanding to also include non-variable fighter mecha, as well as enemy mecha. The focus of these new images is primarily on Ozma’s, but Alto’s is shown too. 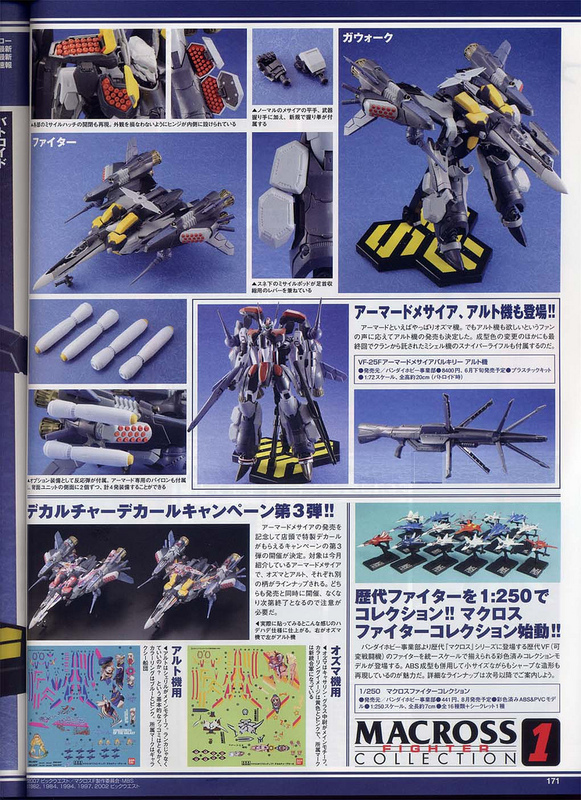 Also shown is a round up of upcoming Macross merchandise. Click on the title bar to see more! Bandai is adding Alto and Ozma's VF-25 Armored Messiahs to their 1/72 Macross F plamo line up. This series of anime accurate models is popular with Macross fans, and provides an alternative to the toys for fans who want more accuracy. 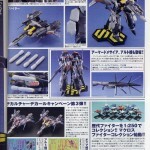 Also provided are more scans showing more Macross goodies. Click here to check it out! 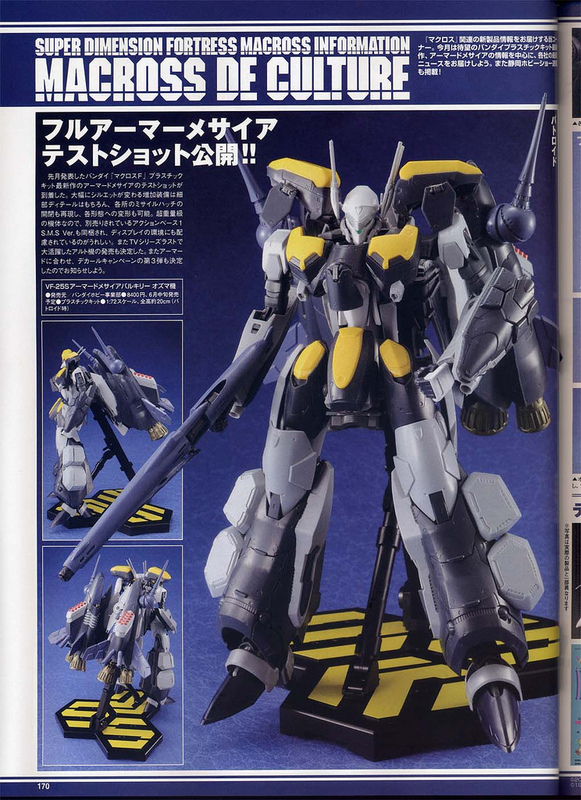 Dammit when are they going to give us updates on the 1/60 DX Armored VF-25S? The suspense is killing me!